One of the most anticipated new features in iOS 7 is the ability for an iPhone or iPad to install app updates automatically—meaning no more annoying update reminders on the home screen. But here’s the thing: if you have a relatively new Android phone, you can already set your apps to quietly—and painlessly—update themselves in the background, no taps required. Indeed, once you’ve tweaked a key setting, the only time you’ll ever need to manually update one of your Android apps is when it wants permission to access something new on your phone (such as your contacts, your photos, or your current location). 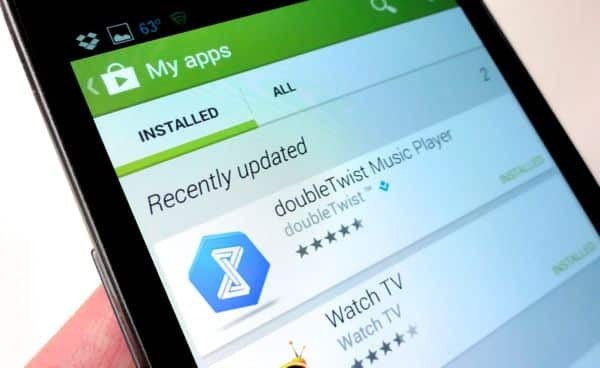 Want your Android phone to update your apps automatically? No problem. Tap the three-dot menu button in the top-right corner of the screen, then tap Settings. 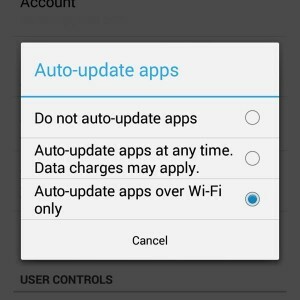 Under the General section, tap “Auto-update apps,” then pick an option: “Do not auto-update apps” (if you’d rather be in charge of which apps get updated), “Auto-update apps at any time” (if you’re fine with Android updating all your apps, even over a 3G or 4G cellular data network), or “Auto-update apps over Wi-Fi only” (if you’re worried about running up cellular data charges, as you probably should be). That’s it! Your Android phone will now keep all your apps updated automatically, while also prompting you if an app requests permission to access additional data on your phone. Want to keep tabs on which of your Android apps have been updated recently? Go back to the Settings menu in the Play Store app and make sure the Notifications setting is checked.